Best architecture firms for internships in India. Learn about the Top 100 Architecture Firms for Internships in India. Empower yourself! 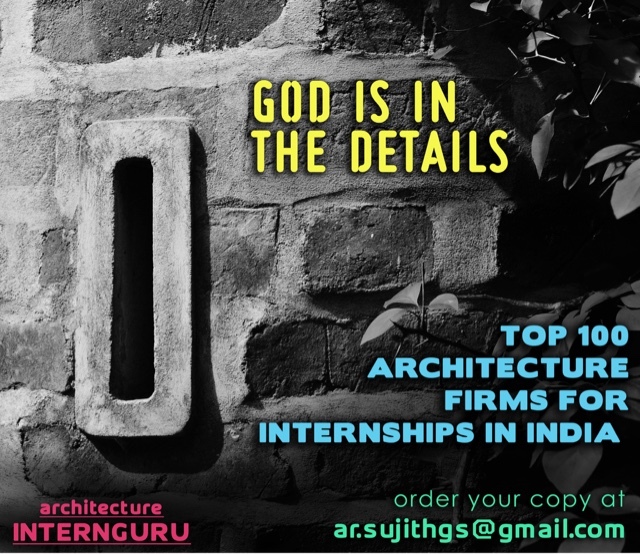 Top 100 Architecture Firms for Internships in India. SUJITH.G.S is a practising architect and writer, with a passion for travelling, experiencing cultures, studying vernacular architecture as well as contemporary currents, which form the basis for his writing and blogging. He has been recently selected as part of the iGen 2017, the 50 most promising upcoming young architects in India.